With a million different elements and criteria to consider when creating and promoting content, it can be all too easy to overlook various elements of importance in a content marketing strategy. Those who understand the importance of even the tiniest elements may find themselves fixated on aesthetics, functionality and technical considerations. Even though all of these elements should be considered in the adoption of a website theme, many may fail to make the proper considerations in these categories and more. In order to satisfy the huddled masses who will peruse your content, a WordPress website is also guaranteed to be necessary. With that being said, what determines what is necessary for such a successful marketing project? Before any analysis of various themes and templates can be considered, the first question that must be answered is, “what are my goals?”. Do you intend to focus on selling a product, providing a service, or supplying information? How will you desire users to engage or convert once interested in what you provide? By knowing up front what the overall goals of the website and marketing efforts will be, you can narrow down the potential WordPress templates being considered. This simple act from the beginning will help ensure that you are not pinging noise to the audience due to a website theme that conflicts with the overall goals of its existence. How much of your overall vision will be implemented immediately, and what are the possibilities for the future? 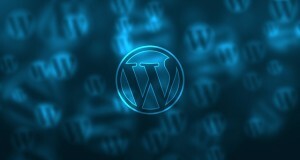 Any ideal WordPress template must take into account any future plans or needs. Maybe you intend to add donation compatibility at a later date or wish to include in-browser pop-ups. While WordPress as a whole is insanely flexible with respect to module and plug-in additions, some website themes are not as well-equipped to handle new additions as others. The ideal theme today may not be so ideal when facing the addition of new plug-ins in the future, which is why it is so important to understand the overall compatibility and functionality of each theme with any and all potential marketing objectives. How resourceful are you with WordPress theme editing? Do you have any prior knowledge with coding? Will expansion at some point require additional services in the form of paid web developers? If any particular areas of website theme maintenance require the services of outside support, then careful consideration of the theme from the get-go is an important element for any marketer. If the lack of personal skills due to a WordPress theme’s complexity makes the difference between pinging noise at visitors and spending an excessive amount of money on design and maintenance services, then it may be a better idea to opt for a less complicated WordPress theme. By outlining the overall goals of the marketing project, considering what may be needed for expansion in the future and assessing which particular skills you personally have, you’ll be able to narrow down most of the inferior choices out there when it comes to a WordPress theme.